BROOKHAVEN, Miss. — Two police officers were shot and killed following an early morning confrontation in Brookhaven, Mississippi. The suspect, 25-year-old Marquis Flowers, was injured during an exchange of gunfire with police and transported to a local hospital for treatment. The officers responded to calls of shots fired at 5 a.m. Saturday. When they arrived at 630 North 6th Street, there was an exchange of gunfire, authorities said. The officers were wounded and pronounced dead at a nearby hospital. Officials said it is unclear why the shooting broke out. The officers were identified as 35-year-old James White and 31-year-old Zack Moak. 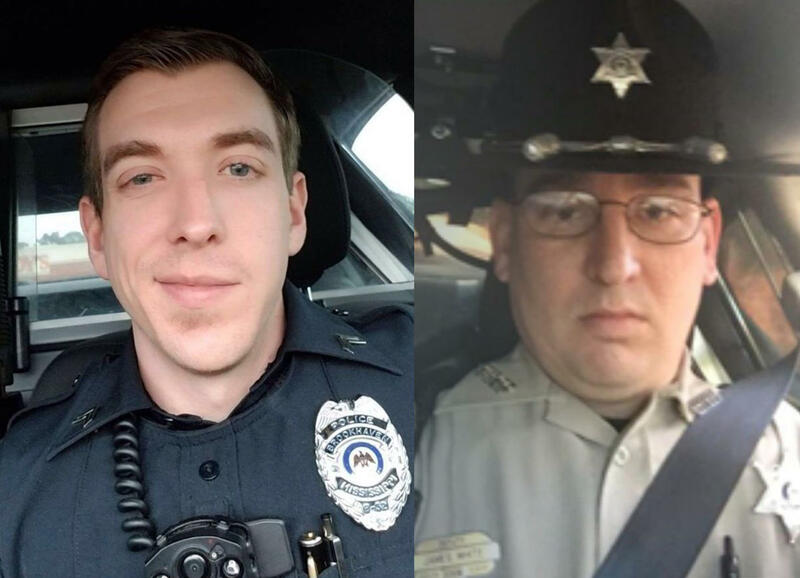 "These were two awesome people who lost their lives in the line of duty and they're both heroes," Police Chief Kenneth Collins said in a news conference Saturday morning. "This is what law enforcement does. They lay their lives on the line every day for you and me so we don't have to," Warren Strain of the Department of Public Safety said. The Mississippi Bureau of Investigation is working the case, in addition to other agencies, the Associated Press reports. Gov. Phil Bryant tweeted a statement asking the public to pray "for the family and loved ones of these fallen heroes."